Our six-year-old daughter twirled around the room in a see-through lilac chemise rescued from a rummage sale box. She was wearing lipstick too, and blue eye shadow reached past her eyebrows. Our three-year-son was still potty training. He could take off his underpants five hundred times a day, but never once would he get them back on again himself. Sometimes I let him go bottomless. That’s how he was on this particular evening, playing on the floor with little cars. Eyes filled with brown warmth peeked out from under a cap of shiny dark hair; his underpants, however, were nowhere in sight. I lurched bolt upright. The wood floor felt gritty on my bare feet. Before we had a chance to offer our visitor a seat, I heard the back door bang. In bounded our six-month-old Newfoundland puppy. Her bark had a friendly woof in it. All sixty pounds of her romped in circles around this man I had not yet met. Out of the corner of my eye I saw the cat leap on the kitchen table and start licking one of the bowls. The scent of onions, garlic and roasted peppers from the pot of chili Verde I’d cooked for dinner drenched the air. I was grateful I’d picked a huge bunch of fresh daisies that morning; perhaps the flowers would catch the social worker’s eye and keep it off of the cat. Fortunately we were experienced with the adoption process, and we knew surprise visits were not part of the procedure. The social worker from the adoption agency was only trying to be neighborly by stopping by instead of phoning. He talked with us for few minutes, and said he would call us on the telephone to set up a home-study interview appointment. Good Enough to Wear at Home? The story above is excerpted from my memoir, Pushing up the Sky, published in 2006, and it became a marker moment in my wardrobe. It got me thinking about the clothes we only wear at home. You know what I’m talking about. The gray sweatpants long past their prime. Sweat shirts and t-shirts that are faded and worn out, but never thrown away. Clothes we wouldn’t wear out in public, but are good enough to wear in that place we call home because they represent the comforts of home, and we feel good while we are wearing them. Or do we? The problem was, I didn’t. Something about wearing worn, frayed, unflattering clothes made me feel tired, worn out. It was also hard for me to relax in my oldest worn wear because those are the clothes I put on when I’m doing weekend warrior projects, and cleaning out the garage, or for house chores and yard work. That long ago evening (wearing my bathrobe), I took a pledge. I vowed that forever more I would own clothing to wear at home that was comfortable, presentable and made me feel as good as I did in my plush, turquoise bathrobe, yet appropriate for any spur of the moment event that might take place during daylight hours at home. Why had I neglected home-wear clothing? I had a professional work wardrobe, along with a delightful collection of clothing to wear for social occasions, but I only wore those clothes at home when we had guests. What I lacked was clothing to wear on any ordinary day at home that was comfortable and made my heart sing. Forgive yourself if this portrait reminds you of yourself. It’s almost everyone’s secret, except for a few really honest people. Of course, some of our friends are the type who always look their best, at home, or anytime, anywhere. We love these women, but for a few minutes let’s not think about them. Our souls long for acceptance, and when we start being honest we get our sense of humor back, and then we are half way home to being able to be kind to ourselves, to treat ourselves as we do a beloved pet, friend, and family member. Home. It serves as both origin and return, as haven. As a source of security and also platform for collecting, organizing and utilizing the things with which we maintain and express ourselves. For a number of years I have been working from home. My home has become the center of my universe. It is where I work, rest and socialize. When I first began working at home I adhered to a rigid early morning schedule of fixing my hair (back then I had short hair that required daily styling) and putting on a bit of make up, and dressing myself in a manner that (the critics deemed) was appropriate business attire for working from home. It didn’t take me long to figure out this was not who I wanted to be. That type of mandate was the reason I left the corporate business world and began freelance writing and dividing my time with a part-time job as director of volunteers for an animal shelter assistance program. I had the freedom of working from home and began to follow my own dress code rules. I think many of us become nicer as we get older, less judgmental of ourselves and of others. Life tends to round off our sharp edges. During my transition period of adjusting to working at home in 2010, I found Project 333. But I needed to think about it for a while. It sounded too restrictive, yet I couldn’t stop thinking about it and eventually the idea of downsizing my wardrobe and becoming moderately minimal in all aspects of my life became irresistible and I climbed aboard. 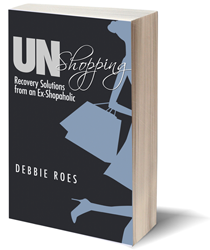 You can read my story here in a guest post published by Debbie Roes. I also have a few posts about my journey toward less on my blog (see here if you’re interested), but I’m not a clothing blogger. I’m a writer with a clothing problem I needed to solve. After I edited my closet, letting go of a sizeable amount, releasing a number of items the wardrobe critics say every fashionable woman should have, including the expensive white button-down shirt I never wore (because I look terrible in white) I began to find my style, my own true north, and it was rooted in simplicity. Variety is important to me. I like plenty of spice. However, the wide variety I crave cannot be satisfied through clothing. It hails from living a diverse lifestyle and from the multiplicity of people I meet or spend time with, and the places I go with scents of lime or plumeria, sesame or curry, surrounding me. From the music I listen to and the books I read. Books with diverse themes serve as a passport, allowing me to glimpse into peoples and a terrain unknown to me, so that I can learn and grow, understand and see through the eyes of someone who has lived different than I have. There was a time when I thought it necessary to have a lot in common with a person in order for friendship to grow. Now I know it has more to do with my own growth and ability to reach out without having expectations. Color is central to me, but it no longer dominates my wardrobe. Yellow and orange arrive in the form of long walks at sunset, from the Nasturtium blooming near the path to the beach. Once I stopped focusing on always dressing for the outer world, and allowed my own needs and heart’s desire to come first, it was fun to cultivate a wardrobe of clothing I love and enjoy wearing at home. Now, my stay-at-home clothing is as carefully curated as the clothing I wear for business and social occasions when I’m out in the world. I plan, select and purchase my stay-at home clothes with important key factors in mind. My life is messy, filled with children, dogs, cats, pet hair, muddy footprints and sticky fingers. When I’m not writing, at my computer, or reading, I’m active at home—cooking, cleaning, yard work and pet care. Our house is subject to extreme temperatures, downright cold inside or sweltering hot, and I dress accordingly. If I lived in the city, in an apartment or a condo I’d dress differently at home. Yet this old house on the central California coast, and my ultra-casual beach lifestyle, defines my needs. For me, growing smarter and wiser includes knowing that I’d rather be comfortable at home than chic, and that comfortable does not need to equal frumpy. And while I still care a great deal about looking my best when out in public, I can accomplish it with a tiny wardrobe personalized by what works best for my life right now, in this moment. I’m more successful in terms of how kind to myself I have become, what a wonderful tender friend I am to myself. I care enough about me to fill a vase with purple Astrids, and make myself a garden salad and pots of soup, even when I’m alone. And I’ve gifted myself a capsule wardrobe of just-right-for-me clothing to wear at home. This entry was posted in A Full Life, Guest Posts, Wardrobe Management. Bookmark the permalink. “Comfortable does not equal frumpy” — soooo true! I wish I could get that idea through to my little sister…. But I hold my tongue. If she ever wants styling help she knows where to find me! I am totally on board with the message of this post. Even on Saturdays when I’m just staying home doing chores and homework, I still put on makeup because it makes ME feel happy. I do have a few old t-shirts for doing yard work and hair dye, but mostly I’ll wear the same thing I wore to work, and just change into some stylish bootcut or legging yoga pants when I get home. I love that more stylish sweatpants are on trend right now, I think they actually look pretty cute paired with a tunic or collared shirt or nice sweater. And honestly the only thing you need to elevate a basic outfit (in my opinion) is a single element like a piece of jewelry or some lip gloss or a nice pair of shoes. The only type of clothing I don’t wear at home is anything black and fuzzy! My white dog sheds a lot and that is just not fun to clean every time I leave the house. Oh, this post does remind me that I need to replace my fluffy, frumpy bathrobe with something that makes me feel a little fancier – perhaps a silk robe or a floral print kimono? I can’t wait for the warmer weather here! Debbie, I hope you will treat us to some more of your lounge wear ideas soon! Debbie, thank you for inviting me to write on this topic. I’m honored to have my work included. And Sarah E., I wholly agree. All of my at-home wear clothes are casual and comfortable, and are in good enough shape so that they can be worn away from home, depending upon where I’m going. When an occasion requires me to be better dressed I’m happy to live the life of a quick-change artist, and can easily and seamlessly transition from stay-home wear by adding a couple of key pieces that turn my outfit into something suitable for business or social events, in a matter of minutes. I have lovely charcoal and black pieces I wear out in the world… but I also never wear black at home because I have a white dog, and a gray cat. You’re very welcome, Terra. Thank you for sharing your insights with all of us! I loved reading what you had to say and I loved your beautiful writing, too. It was you that led me to realize that if I’m at home so much of the time, my at-home capsule should be the largest one I have. I’m not there yet, but having more crossover between my home and out capsules is making a difference. I feel better already. I’m not where you are yet, but you inspire me to get there! Sarah, I will definitely write on this topic, too, as it’s been something that’s been on my mind quite a bit lately. Like Terra, most of my life is at home these days, so what I wear here is very important. I never used to realize that, but I’ve since come to realize that I want to feel good about how I look and what I’m wearing all of the time instead of just when I’m out and about (which is less than 25% of the time at this point). Debbie, it also took me a long time to realize that my at-home capsule should be my largest based on my current lifestyle. It was also a lesson late in the learning (and I was saddened) when I came to the realization that I was willing to spend good money on quality clothes to wear away from home, that other people would see me wearing (clothes that would spend the majority of time hanging in the closet unworn) and yet I didn’t want to pay for high quality casual clothing to wear at home. Thank goodness I won that battle. Now, (even though the higher prices still rankle a bit) I am willing to spend whatever it takes to have “comfortable” good quality home-wear. Because I know I will wear it many, many times. The category of lounge wear puzzles me, however. What is lounge wear? Is it nicer pajamas? Something pajama-like, that is elegant and appropriate to be seen in, at home? I seldom lounge. Or if I’m going to lounge it would be after dinner. But after dinner I might change into pajama pants. Cute pajama pants, of course – in case we have the screen door open and someone drops by. But maybe the knit pants I wear for long hours at my desk are considered lounge wear? Recently I have begun to think that we really should look our best all the time. Especially with the people we love. Why is it we look frumpy and schlepp around those who mean the most to us. If you are married or have a partner remember how it was courting. I’m not saying wear a ball gown to clean toilets, but really even the clothes for projects shouldn’t look as if we are homeless. Kathy, I think so too. It’s occurred to me that I need to feel my best when I’m home alone too. For me looking my best has everything to do with feeling good about myself. And in order for me to look my best on a regular basis I had to make drastic changes and “simplify my routine.” My hair is easy to maintain; it’s long currently, yet a good cut still makes all the difference, and I’ve simplified my daily make up and tossed out everything complicated. Now I have a tiny make-up bag, and spend only 3 or 4 minutes putting on make up. I’ve also (finally) learned to let go of having ridiculously high standards and proudly wear the face I happened to have. I have had that doorbell moment a few times! The neighbors must have wondered about me, since I was always yelling “just a minute” while racing around trying to get some actual clothes on. 🙂 I retired almost 10 years ago, and it took me several of those years to realize I was “saving” my good work clothes. For what? I don’t know. I finally started incorporating the tops, shirts, and more comfortable pants and skirts into my everyday at-home life, and donated the rest. Great post! I make a point of throwing out anything that looks too worn out/gross/holey so I actually am presentable even at home. I only have a couple of outfits that are not for going out they are just for house cleaning and yard work. But I can identify with the saving of a favorite item just because I am “only” going to be at home that day…since Debbie started the Love It Wear It challenge I have been thinking a lot and have started dressing differently. By only wearing what I really want to I hope to pare down my wardrobe (although not to 33 pieces!) As I go I am being a lot more particular and after a day at work if I can’t wait to get home and take it off because it was uncomfortable or fussy, its going! Like Debbie said in one of her articles, life is too short to keep things around that don’t make you happy! Thanks for the article. Laura, I can identify too. Also, Debbie’s “Love It Wear It” process has opened my eyes to the fact that I’m more likely to wear nicer clothing at home when someone else is home with me. Like you, I have a few grubby things I wear for yard work, and even though my at-home wear capsule is filled with clothes I feel good wearing, I still had a tendency to save my “nicer” home-wear for those times when people were around. Now, I’m pushing myself to wear what I love best, even when I’m home alone. Comfort is key for me, and it turns out there are plenty of lovely comfortable clothing to be found. I just needed the incentive to make myself a priority. I am rethinking the project and gardening clothes too. They need to be washable when dirty but if I look like a grub in my yard then all my neighbors see me at my worst. I don’t mean I will be wearing the ball gown with tiara, but maybe not the hole in the shirt paint stained jeans and sweat stained ball cap to do yard work. I have embraced aprons for house work and cleaning. These are nice since you don’t have get your good clothes dirty but voila you can join your company pristine without a side trip to change a grease splattered shirt. Our mothers did have the right idea with this. An apron! I need to get an apron too! Thank you so much for writing this! I work in fast food but when I started paring down my closet my old professional student-teaching clothes were the first things to go because I had that “that’s not me anymore” moment. I only have clothes I love and feel good in at home or for any non-work activities now. What I got the most out of was your statements of add variety through your activities and enjoy the colors around you. This is exactly the type of advice I needed as I start my second capsule this weekend. It was a great reminder to focus on things outside my closet and to enjoy life far more. Thank you. Angel, years ago my mother-in-law gave me the best birthday gift, a session to have my “colors” done. For the longest time I collected colors in my pallet, ALL of my best colors. A glimpse into my closet was like walking in the forest on a warm autumn day. And it made getting dressed crazy making for me. Sure everything mixed and matched and coordinated well, yet like everything else, “less color is more.” I made the discovery one day when I realized that I would rather walk through, see, and breathe in the scent of fall leaves, and not dress like leaves. And I can enjoy all my favorite colors that are not my best, with flowers. I do wear a bit more color at home though, and less with my smart casual and business wear capsule. Your comment is a good reminder for us all to stay fluid and flexible and every few years reevaluate and release clothes that are “not me anymore.” That’s the best part about having a small wardrobe. It’s easy to make changes every decade, so that our clothes are in harmony with us. Thank you for this- I’ve thought on this and know that this is an area I should pay attention to. I’m not going to buy anything immediately, but I will think about this more and as I replace my pajamas/lounge (I go home and immediately change into pajamas, but I wear formal / business casual 90% of the time), I’ll be more discerning about what I’m wearing around the house and feeling good in what I wear. I’m in a better place that I used to be- nice pajamas/lounge in good condition rather than tattered tops and stained holey pants. Meli, I feel the same way. Back when I worked out in the world, and spent a 10-hour day fully dressed in business wear, the first thing I did when I came home was take off my work clothes and put on my pajamas. I still do it on dark, cold winter days after working yeoman hours in my home office, and I’m exhausted and ready to shut out the outer world hole up. I have friends who tell me they feel fine wearing ratty pajamas, and that they would rather spend their money on other things. I love these friends and respect their opinion. I don’t want anyone to think that I’m judging. What we wear at home is personal, and some people feel very private about it. It’s an individual choice, and will be different for each of us. Because I work and spend the majority of my time at home, home-wear is a crucial capsule in my wardrobe. “Where” we work and live also plays a key role. My home office has a rustic, beach-y feel, and I dress accordingly. But again, what we were at home is extremely individual. On the topic of loungewear –I’d love to hear other people’s thoughts, and Debbie I’m looking forward to your post. For me the term lounge wear is what I call “transitional wear.” It’s my soft, gray and white checked pajama pants. For those times when I don’t want to put on my sleeping-pajamas, yet I want to feel cozy and retreat from the world. I’ve never felt comfortable wearing frumpy “at home” clothes or nightwear. I think this stems from my father always complaining about how badly my mother dressed when she was at home, how she never bothered to fix herself up. From his acerbic comments, I learned that men don’t appreciate the schlumpy tee shirt, baggy sweatpants look–and quite frankly, neither do I. I have never understood the attraction of sitting around in old droopy clothing. It just makes you feel depressed and hopeless, like your life is a road to nowhere. Its just as easy to sit around in something that looks nice and feels good! Like you say, you never know when you are going to have to answer the door, or go outside, …or meet someone who will influence you for the rest of your life. Deby, looking nice does feel good! And for some reason in the long ago past I thought it might take too much effort to look good at home. Then I began to realize that I was making it overly complicated. I don’t need to be chic at home, just comfortable, dress and care for myself in a manner that allows me to feel good. I’ve begun to take it a step further and care for my body (which elevates my spirit) and dress my body in a manner that lifts me, even when I’m home alone, because I no longer want to dress for other people, or allow what others think to ride herd. Loved reading this article and all the comments. I work in a logo top, dark pants and steel cap boots for work 4 days a week. I enjoy wearing “normal clothes ” for the other three. My clothes are not expensive but I enjoy putting together an outfit and wearing natural looking makeup everyday. It gives me a confidence boost . My theory is if a friend phones up for an unexpected catchup and I can’t grab a my handbag and shoes and not be embarrassed to be seen out , those clothes don’t get put on. My mum always dressed nicely so maybe I inherited it from her. Clothes can still be comfortable and look good and sometimes just an added accessory is needed to elevate the look. Di, my mother dressed well at home too. But “the apple fell pretty far from the tree.” As a teenager, and as a young adult, and well into my early 40s I remember wearing my oldest, most worn clothes around the house, and then when I got ready to go out, it took a ton of effort to pull myself together, and yes, I would hide, and not answer the phone, or not go to the door if someone dropped by. Now that I have moved over to your camp I benefit greatly from the boost of confidence gained. Your theory is spot on, there are so many times now when a spur of the moment invitation comes my way and I’m able to say yes without hesitating. It is really surprising how similar our stories are. I was a stay at home mum for 16 years and didn’t spend money on myself ( my marytr’s choice) and would hide from social occasions. Things changed slightly when I started work in my late thirties, lost some weight and spent a little more of myself. About that time my mum passed away from cancer at 60, the year I turned 40. Things really changed for me as I examined my life and decided life was too short to feel shortchanged about yourself. So in a way mum passed the mantel on to me so to speak. I now love social occasions, travel the world and feel confident in my own skin. But sometimes I think the pendulum swung too far In the opposite direction when it comes to buying clothes …..which is why I love reading this blog. Di, I’m deeply touched by this. Thank you for sharing this story. There must be more women like us out there, and I sincerely hope they too can find the joy we have found. Yes! Life is too short to feel shortchanged about ourselves. I really enjoyed this article! I always try to dress nicely at home, at least nicely enough that I can answer the door or run out for an errand without embarrassment. However, I could use some more “at home” clothes, because I have only recently recently given myself permission to spend money on clothes that are “comfortable” – somehow I’ve bought into the notion that comfortable equals sloppy – but obviously that’s not the case! I do want to look nice in front of my family – who’s more important than they are? Murphy, that’s my goal too, looking nice enough without needing to hide or feel embarrassed. 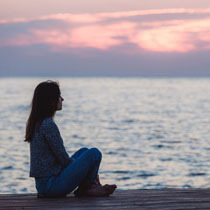 even when we are alone, especially when we are alone, makes it far easier to get dressed and look our best when we are preparing ourselves to go to work, or a social event. If we feel good about our appearance most of the time while we are at home, it provides a smoother transition when we get “dressed” to go out in public. Not caring about how we look at home can result in an ugly duckling point of view, and places too much pressure on becoming a beautiful swan in order to go out into the world with confidence. It also helps to let go unrealistic expectations, and to find a simple beauty and getting dressed routine that sparks joy. I don’t want to wear these clothes for varying reasons such as old and passed it, uncomfortable or itchy, unflattering etc. It really dawned on me that I didn’t like these clothes so why am I delegating them to wear around the house ???? For the past 18 months I’ve worked on having a wardrobe of clothes I love, in colors that work together. But I have not done this for clothes around the house and I need to. So, I was literally thinking about this and then I read your post. One of the problems is I don’t like wearing track pants or cargo pants and sloppy T-shirts with trainers. It’s a look I hate and yet it is not practical to wear delicate tops and pretty shoes when at home doing housework and I don’t want to wear jeans all day either. I guess I need to think about it and create a small capsule specifically for around the house that is comfortable and practical but still leaves me feeling feminine and dressed. Carolyn, I feel the same way. I select and buy my at-home wear with some important key factors in mind, and I dress accordingly. I have a dog and a cat that are frequently on my lap, which means when at home I usually have pet hair on me. When I’m not working, writing or reading, I’m active at home. Cooking, cleaning, yard work, pet care, and exercise. My at-home wear clothing is as carefully curated as the capsule of clothing I wear for business and in my social life, and first and foremost it needs to meet my needs at home. I need to be comfortable, and while I have no interest being chic at home, I do need to like what I’m wearing and feel good. Because getting dressed to stay home will be different for everyone, in my post I didn’t mention exactly what I’m wearing. Carolyn, I hate cargo pants, sloppy tees, and trainers too. I don’t even own any. Instead, my leisurewear consists of interesting tunic tops or long shirts over leggings or slim fitting pants, and shoes like Clarks or Birkenstocks which are made for moving but have a fashionable element. I like for either my tunic tops or pants to have pockets so I can carry small items. In fact, that is one of my “daily rules of dressing”, whatever I’m wearing–some component of the outfit must have pockets, because I’m always on the go. I also like to do a high/low hemline look with separates, such as in cooler weather, I might wear a shorter fleece or knit moto style jacket over a longer tunic top. Lol, I don’t own cargo pants, trainers and track pants either Deby. I really hate to say this, but I live in Europe and you can spot an American tourist a mile away dressed in 3/4 cargo pants, short white socks and trainers and a sloppy joe top or baggy t-shirt. I guess it’s practical for schlepping the sights but it’s such an ugly, unfeminine look. I also love tunics and slim pants. I especially love A-line shift dresses or tunics as they suit my body shape so well. I also like birks and have a few pairs in different colors but they don’t look great on my feet as I take size 40-41 shoe but have a small frame. I have small ankles but big feet so birks make me look as if I have giant plates attached to my feet. It’s one of those looks that I love seeing on others and have bought into, but doesn’t really look great on me. It is very disrespectful for Americans to dress like that. I agree! Such people give the rest of us a bad name. I don’t know if they dress the same way at home as on vacation, but I hope not. The picture you paint, Carolyn, is not a pretty one! I had to chuckle about the Birkenstocks comment from Carolyn. I think the same effect would be evident on me, as I wear the same size shoe. I think that part of why I like to wear at least a small heel is that it helps my feel to look smaller. But I do like the Birks look on others sometimes. Your at-home wardrobe sounds great, Deby, and both comfortable and functional. I also like the high/low hemline look. I think that if I had more things like what you describe, I would wear more “regular” clothes at home, too. Thank you for this article! None of the fashion, minimalist fashion and wardrobe bloggers have addressed this subject. 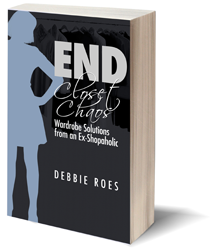 You are the first to place focus on this critical area of a woman’s wardrobe. I am rethinking the clothes I wear around the house and want to make changes so that I like what I am wearing all of the time. Thank you Teresa, and thank you Debbie for publishing my guest post. It’s a privilege to have readers. Thank you to everyone who has taken time to read, and contribute comments.